The health of nine million children is at risk, with even more at stake in hard-hit Flint. It’s bad enough that if Congress does not act to reauthorize the Children’s Health Insurance Program (CHIP), nine million lower-income children will lose the health insurance that allows them to see a doctor or go to the dentist. The problem is even worse in Flint, where CHIP is providing additional essential healthcare services to children and young adults whose health has been jeopardized by exposure to lead-tainted drinking water. What’s more, CHIP funding is helping to pay for lead abatement in Flint, including the replacement of pipes. Last October, Congressman Kildee and his fellow Michigan Congressional delegates sent a letter to Speaker Paul Ryan. It expressed their disapproval with Republicans’ failure to put forward a bipartisan reauthorization of CHIP, instead holding the program hostage as a bargaining chip in their ongoing efforts to cut other essential healthcare programs such as Medicare. As Congressman Kildee points out, CHIP was created in 1997 with strong bipartisan support, led by Senators Ted Kennedy (D) and Orrin Hatch (R). CHIP was the first commitment of Congress that recognized the inherent right to healthcare. I think a lot of people don’t see CHIP in its full breadth: CHIP was really the first clear statement that healthcare is a right, and we’re going to start with the kids. With partisanship at a fever pitch in Washington, it’s hard not to see Republicans’ foot-dragging over reauthorizing CHIP as a cynical attempt to send a message that healthcare is not, in fact, a right. After all, they have been attacking the Affordable Care Act (ACA) since it was passed, and seem hell-bent on gutting Medicare and Medicaid, too. The stakes are high for the nine million children who rely on CHIP, because their families are above the income level for receiving Medicaid but don’t earn enough to be able to afford health insurance. One of the programs funded by CHIP is MiChild, a program in Michigan that provides health and dental coverage for children from working families that make more than double the federal poverty level — $43,290 for a family of three. Some states, including Michigan, also allow CHIP to cover pregnant women. CHIP currently provides health insurance to 116,000 children in Michigan. But there’s even more at risk in Michigan. In the wake of the Flint water crisis, Michigan was granted a waiver by the federal government to use CHIP money to remove lead hazards from the homes of low-income residents in Flint and other communities across the state. Michigan is using CHIP money to spend about $119 million over five years to detect and remove lead hazards from homes in Flint and other areas of the state. So far, CHIP funds have been used to replace about 1,000 lead service lines in Flint, remove lead paint and remediate lead-tainted soil. 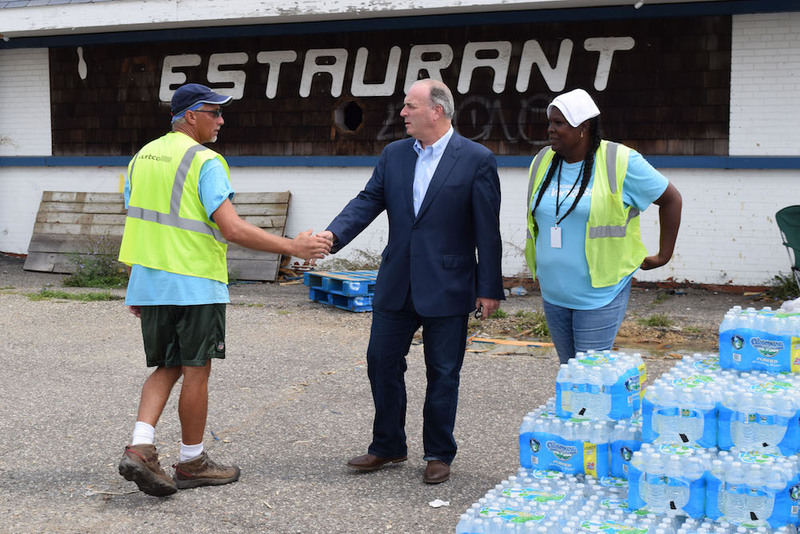 In addition, the state of Michigan was allowed to expand CHIP funds to provide health insurance for an expanded pool of people younger than 21 and pregnant women living in Flint since the water switch that exposed them to dangerous levels of lead in April 2014. Although Congress reauthorized CHIP funding for some states where expiration was most imminent in December 2017, Michigan was not among them. Without reauthorization, CHIP funding in Michigan is expected to run out by April or May 2018. Without reauthorization, all of the services to Michigan kids — including mitigating the health risks of the Flint water crisis — will evaporate. Congressman Kildee calls it “hypocritical” that Republicans in Congress were more than willing to pass tax legislation that cuts more than $1 trillion in taxes for the wealthiest Americans without any offsets to pay for it. Yet they insist that helping kids get essential healthcare services must be paid for at the expense of other vital programs. I can’t call it tax reform — it’s the biggest shift of hard-earned wealth in recent history. It was not to help kids who are struggling, to put food on the table of hungry people, to educate children who have potential that might not be realized without some help, to make cities like Flint safer, to ensure there’s clean air or clean water. It was to shift massive wealth from working people to the wealthiest Americans. Yet when it comes to kids being able to go to the doctor or the dentist, Republicans suddenly get religion about spending priorities. Shame on them. With Congress back in session, Congressman Kildee and other Democrats are pushing hard for Congressional leadership to bring CHIP reauthorization up for a vote — and fast. He urges everyone to call their elected officials and demand reauthorization of CHIP, not just for the good it will do in Flint but in cities and states across the country. 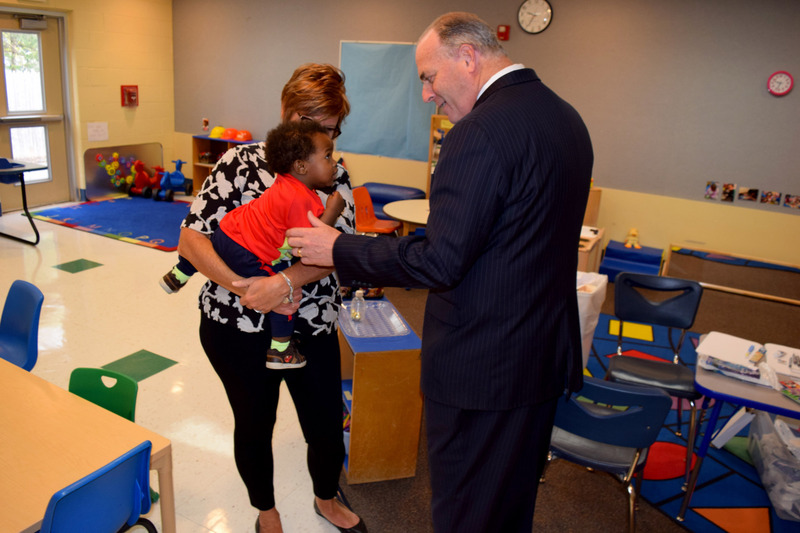 Congressman Kildee feels confident that if it comes to a vote, CHIP will be reauthorized. After all, he says, it’s always enjoyed bipartisan support that even right-leaning officials can get behind. “If Orrin Hatch can put his name on it, they can, too,” he says. It’s the health and futures of children that are on the line here, which should make reauthorizing CHIP a straightforward decision. Tell your representatives in Congress to push for a vote and to vote “yes” to reauthorize CHIP. You can find them HERE.